Strikeforce veteran Amanda “Lioness of the Ring” Nunes has sustained an arm injury and is out of her Invicta Fighting Championships 5 bout on April 5th in Kansas City, Missouri. In Nunes’s place, unbeaten prospect Lauren Taylor has stepped in to face Kaitlin Young in a bantamweight matchup. MMARising.com confirmed the change with sources close to the bout today. Taylor recently relocated from Alaska and picked up a dominant first-round TKO win over Jennifer “Superstar” Scott at Legacy Fighting Championship 18. 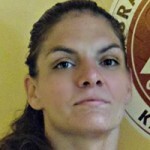 Young is set to compete for the fourth time under the Invicta FC banner. Taylor (5-0-0) opened her pro career with four straight stoppage victories, capturing featherweight titles for both Alaska Fighting Championship and Alaska Cage Fighting along the way. This past year, she relocated to Florida and now splits her time between the Sunshine State and the Gracie Barra jiu-jitsu academy in Katy, Texas. Earlier this month, she dropped down to 135 pounds and stepped in on short notice to face Scott on the Legacy FC 18 card in Houston. Taylor battered and bloodied Scott with vicious elbows from mount to earn a first-round TKO victory and now seeks her biggest win to date. Young (7-7-1) has been a part of three of the most action-packed fights in Invicta FC’s short history. She debuted for the promotion on its inaugural card in April and battled Leslie “The Peacemaker” Smith to a hotly-contested Split Draw that earned Fight of the Night honours. Young then returned to action three months later and had a strong first round against recent UFC title challenger Liz “Girl-Rilla” Carmouche before falling victim to a second-round rear-naked choke. She is now coming off of a TKO loss to Smith in an October rematch at Invicta FC 3 and looks for redemption in her first fight of 2013. The severity of Nunes’s injury is not yet known and a timetable for her return has not been determined. Invicta Fighting Championships 5 takes place on April 5th at the Ameristar Casino Hotel in Kansas City, Missouri. The event is headlined by a pair of championship fights. Wasn’t River “Ruckus” Jones supposed to face Lauren Barefoot on this card? River is injured and that fight has been postponed until July. There is a brief updated note about that in the Soukupova-Rodish fight post. Not saying Nunes isn’t legit hurt, but she had zero incentive to fight. If she loses , UFC might sign Young and drop Nunes down. Kaufman is in the same position. She loses to Smith and probably gets her a contract and damages Kaufman getting any major UFC fight. These are probably the last major bantamweight fights we ever see in Invicta. These women have to think of their UFC futures because Invicta doesn’t pay the bills.